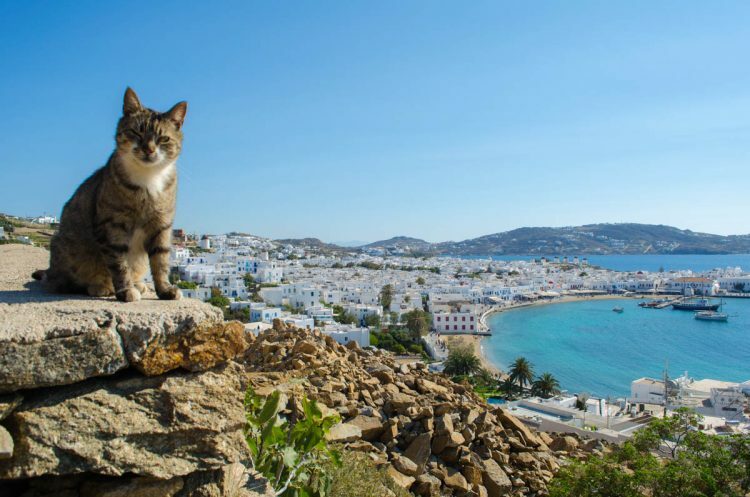 Of course, the first animals you’re going to notice in Mykonos are the cats. Serving as tableside companions happy to dine on fish scraps, and as adorable photo accessories reclining on white stone walls and perched on rustic wooden chairs, street cats are all over Mykonos Town. Beside these wild but thoroughly domesticated friends in town though, the countryside of the island is teeming with wildlife. 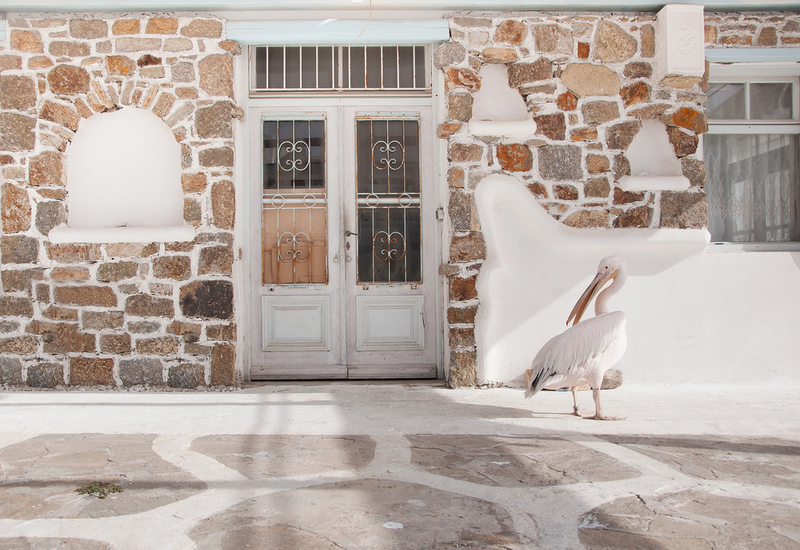 You may not see some of Mykonos’ most exotic animal inhabitants at once. 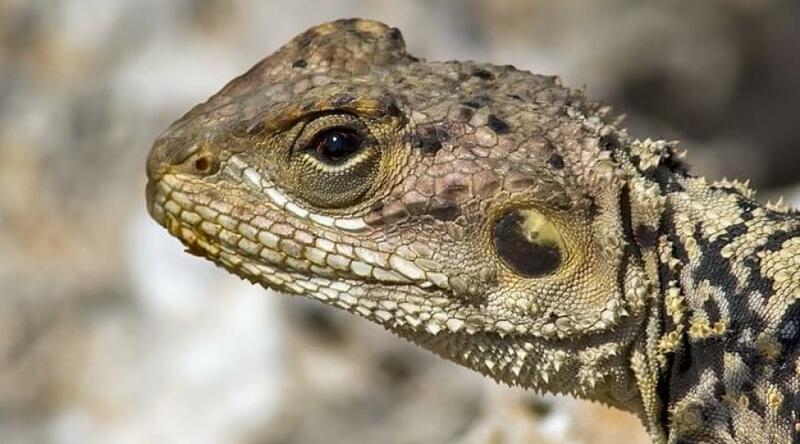 The “Agama Stelio” (Agama Lizzard) looks like a small Iguana Lizzard. The island is like a miniature Galapagos Island- full of species and subspecies unique to the island. How do you spot the Agama Stellios? By its yellow head! And once you know what to look for, they’re easy to spot. They love sunning themselves on rocks all over Mykonos and Delos. But if they want to hide, they can, in a flash. You’ll notice low stone walls running all over the island- they serve to divide and terrace the fields, and protect the island’s architectural heritage and natural beauty. To the Agama Stellios, they provide a safe habitat. The stone walls serve as their highway system, as well as safe “hotels” they can duck into at any moment (remember those adorable cats? They’re dangerous predators). In fact, all of the Cycladic islands are rich in reptilian life On Mykonos, the Agama Stellios are joined by other species of lizards, and several species of snakes. The more cuddly species are also represented. 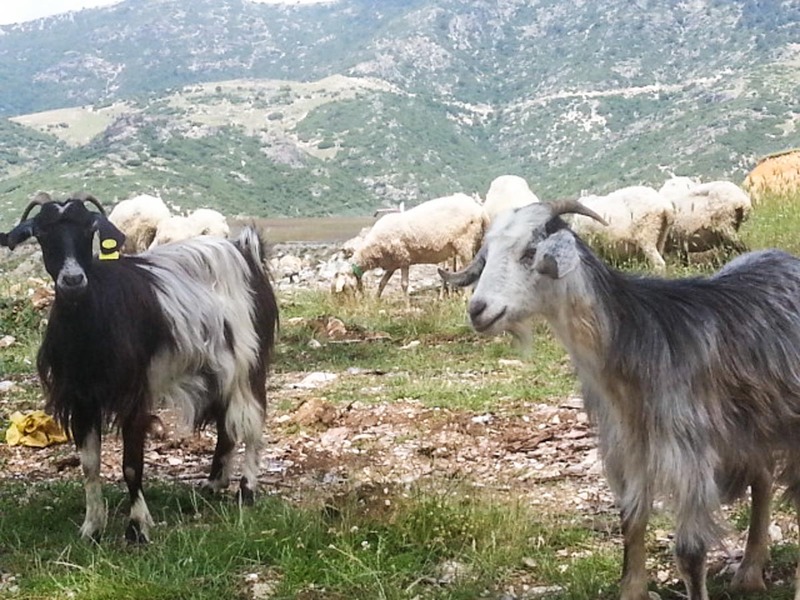 On the domesticated side, goats, of course, are everywhere, grazing on the herbs, weeds and grasses of the island (their milk is used for making tangy, delicious cheeses). Sheep, too, add an element of the picturesque to the island’s wild landscape. Among the shrubs and grasses you may also spot a rabbit. They have an interesting story- a pedigree that stretches back to the Byzantine era. They are not indigenous to the island, but rather were introduced in the Byzantine era, presumably as game for hunting. The hedgehogs you may see are indigenous though. And, returning to birds, the island has another very famous visitor. 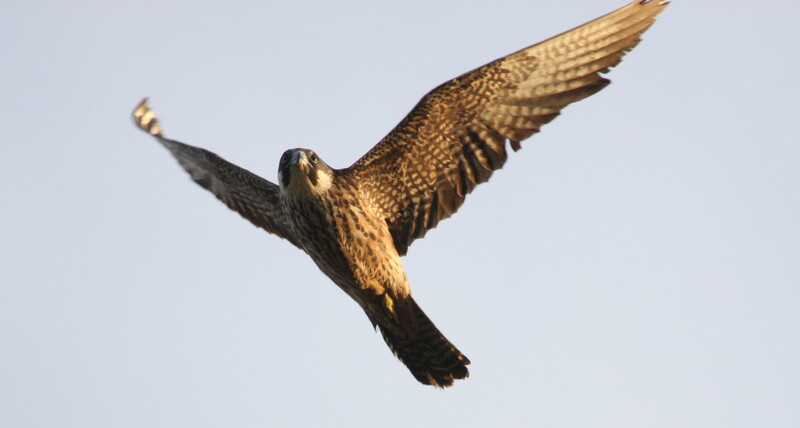 The Eleonora Falcon is named for the 14th Century heroine of Sardinia- Eleonora of Arborea. She adored these bold and noble birds, and prohibited the hunting of them and the gathering of their eggs. This makes them historically one of the first protected species. Their hatchlings can be spotted around the island in late summer. Over 70% of the world’s population of Eleonora Falcons stops over in the Aegean Islands each year, on their way to Madagascar. 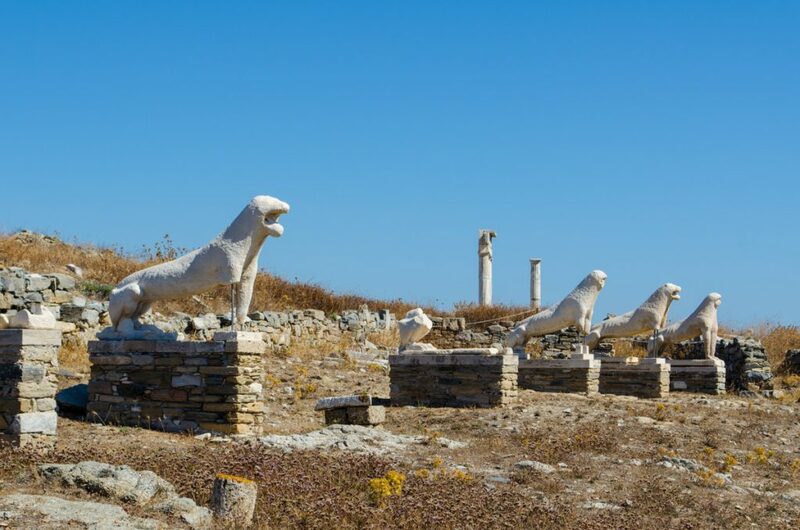 Perhaps some of Mykonos’ most interesting animal residents are now long extinct. On many of the Aegean islands, the skeletons of miniature Elephants have been found, and also those of miniature hippopotamuses. It is delightful to imagine them in the oak forests that once were here. Have you spotted one of the yellow headed Agama Lizards on Mykonos? Or a hatchling of the Eleonora Falcon?